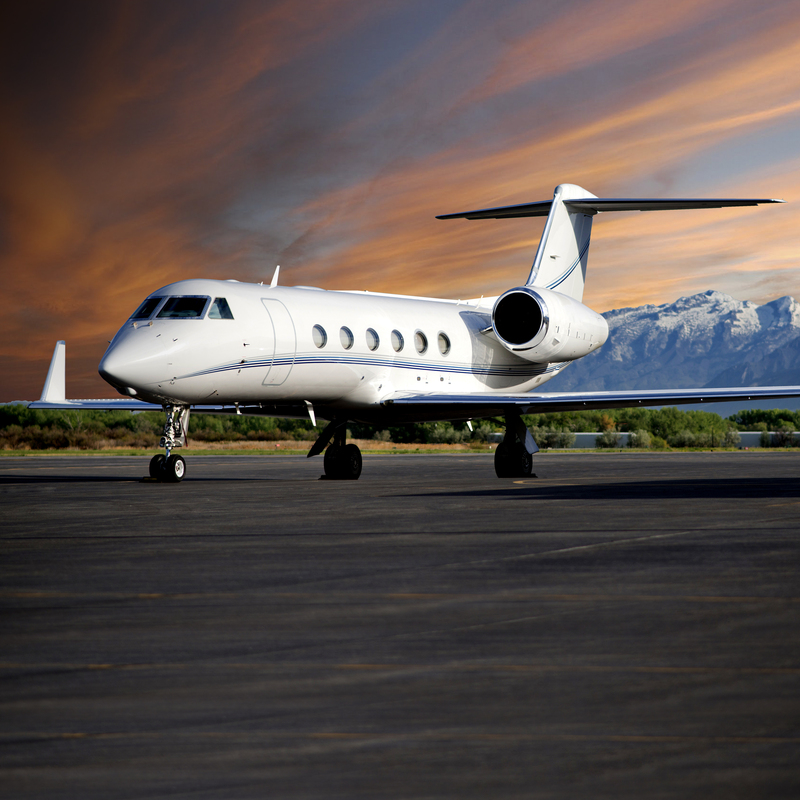 The Gulfstream 550 charter aircraft from Keystone Aviation is one of the best all-around business jets in the world. With superb speed and comfort, along with the ability to fly for fourteen hours non-stop, the G550 is of the most fuel-efficient airplanes in the industry. 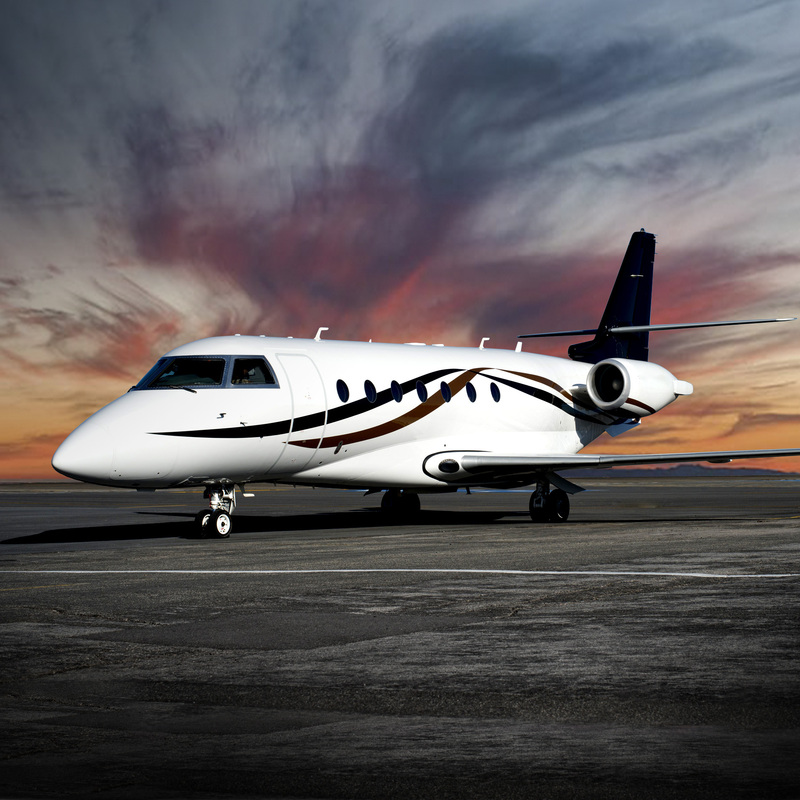 Carrying up to nineteen passengers, this luxury aircraft allows you to fly non-stop from anywhere in the United States to Europe. 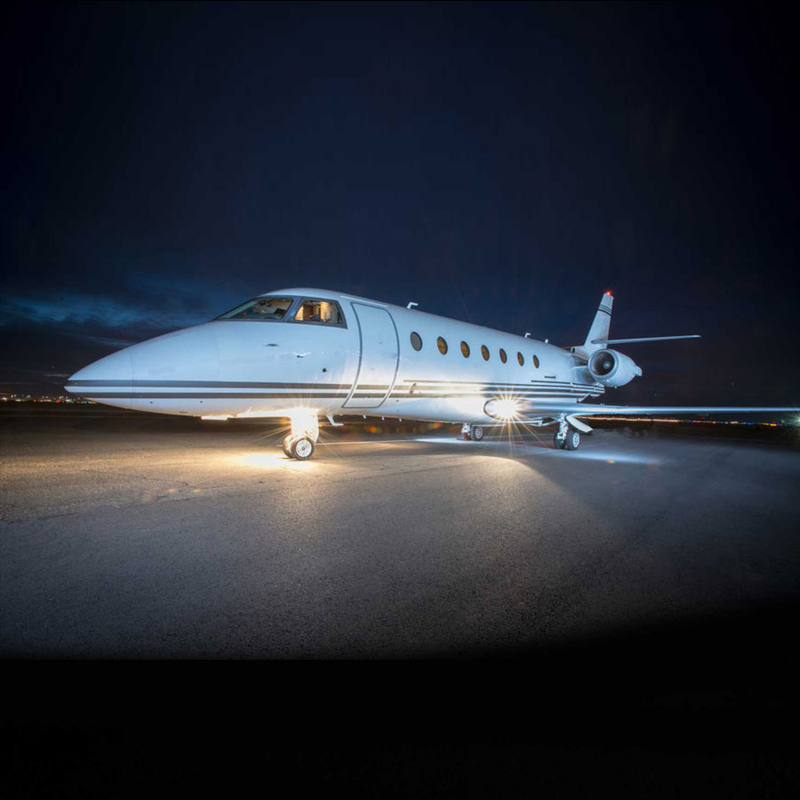 This luxury aircraft features comfortable seating for up to nineteen passengers, with two fully enclosed lavatories and a full service galley. For those long flights when sleeping is in order, we have seven different sleeping arrangements for up to eight sleepers. We provide a certified flight attendant for your safety and comfort on all Gulfstream G550 charter flights. 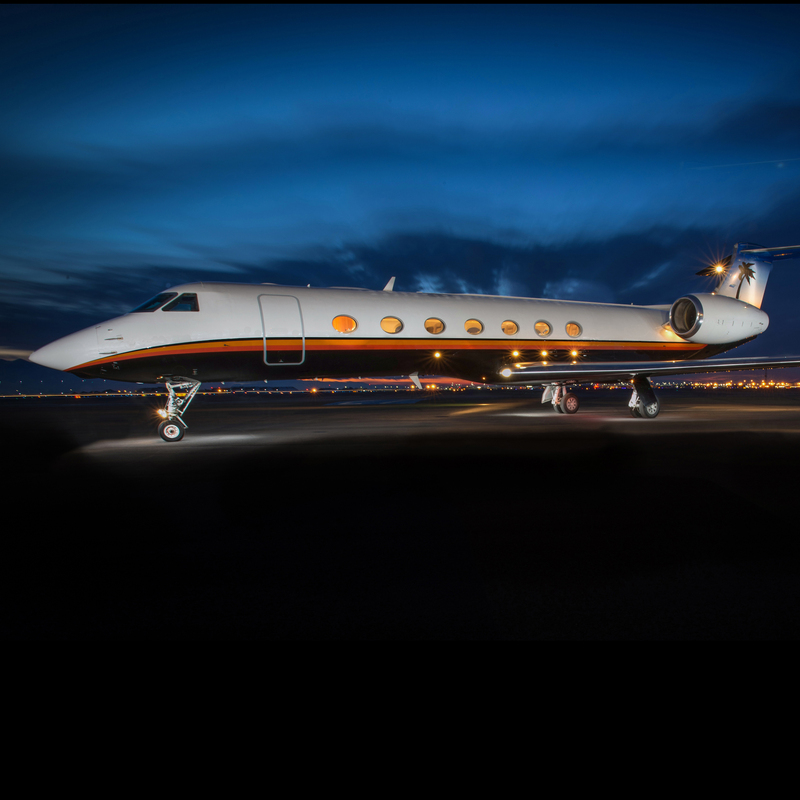 The Gulfstream G550 has the best overall cabin in its class with the longest cabin, largest baggage area that is fully accessible in flight, and the best overall cabin environment. One of the reasons for the G550’s roomy interior is a direct result of the PlaneView® cockpit occupying 20 percent less space than the previous generation of avionics. We put that extra room to good use. First, we created up to four distinct living areas. 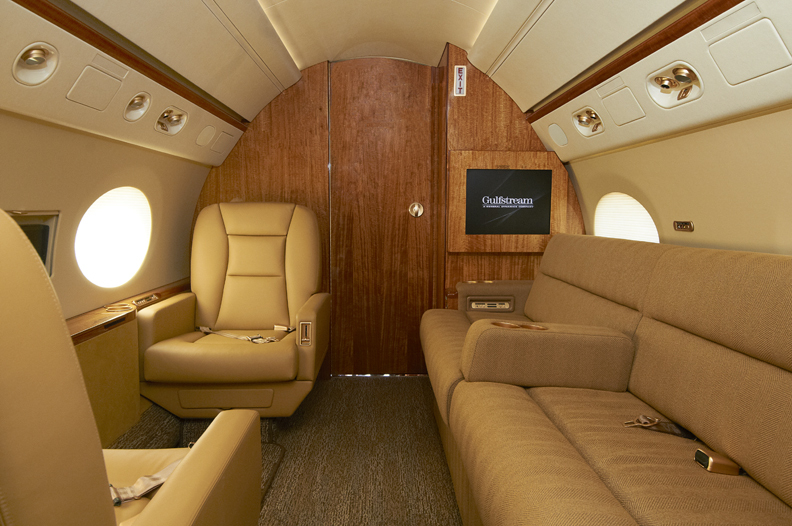 Then, we offered G550 operators a choice of 12 configurations, 6 forward galley floor plans and 6 aft galley floor plans. For the forward galley floor plans, there are three layouts with seating for up to 19 passengers, and three layouts with a forward galley and a crew rest area. These will accommodate 12 to 16 passengers plus the crew. Similarly, we presented operators with a choice of three aft galley configurations, seating from 14 to 18 passengers, and three aft galley designs with a crew area. The latter will accommodate 12 to 16 passengers and the crew. As you might expect, we also offer interior-customization packages. To maintain optimum productivity on those 6,750 nautical mile (12,501 km)flights, we installed a host of standard communications features – a fax machine, a printer, a wireless local area network and satellite communications. One popular option is Gulfstream’s Broad Band Multi Link (BBML), which boosts connection speeds while simultaneously lowering operating costs. Our comprehensive entertainment system encompasses the Airshow passenger information system, two dual DVD players, a multi-disc CD player and two LCD monitors. 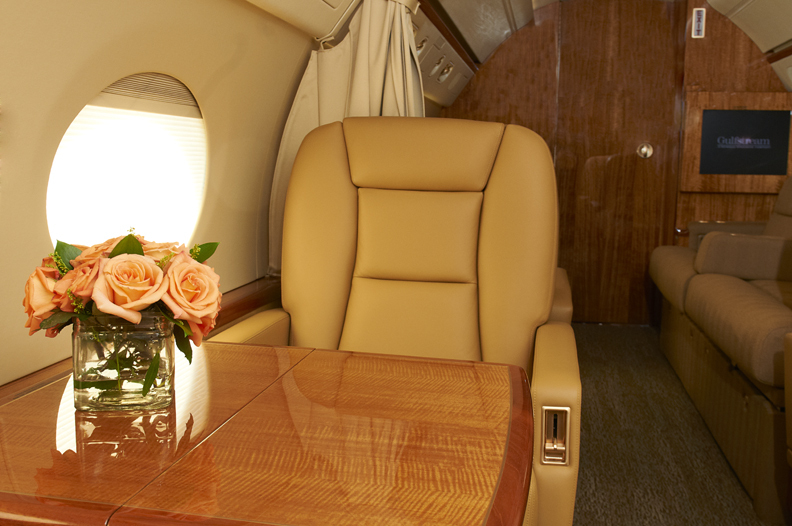 In addition to the space, flexibility and amenities, the G550 provides the customer with one of the best cabin environments. Our fresh-air system continually fills the cabin with 100 percent fresh air while 14 large oval windows contribute abundant sunlight. Together with quiet cabin sound levels plus a low cabin altitude of 6,000 feet (1,829 m) at the maximum aircraft altitude of 51,000 feet (15,545 m), they help to increase productivity, combat jet lag and the fatigue that accompanies it.